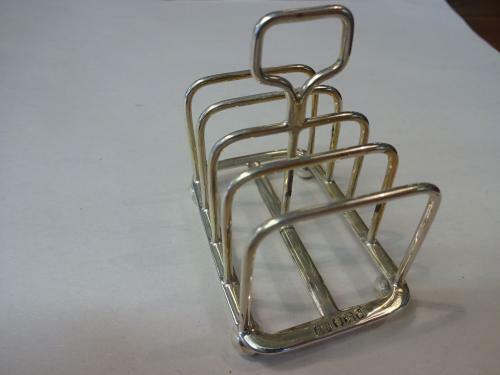 Delightful Solid Silver Toast Rack Hallmarked Sheffield 1898. Maker Harry Wright-Atkin. In Excellent Condition for 118 years old. Weighs 50grams, Measures 7cms high, 7cms long by 4.5cms deep.